Buechler, a former U.S. Fish and Wildlife employee who now is a wetlands consultant, looked at five types of wetlands in the South Platte watershed to see how regulatory confusion has set back preservation. The Corps has authority over projects on streams, rivers and lakes in the United States under Section 404 of the 1972 Clean Water Act. Conflicting U.S. Supreme Court decisions in 2001 and 2006 cases have led to regulatory confusion. “The result was the effective removal of regulatory oversight and protection of the fish and wildlife habitat and other important functions on 20 million acres of so-called geographically isolated wetlands in the lower 48 states,” Buechler wrote in the report. Under one interpretation, the Corps has jurisdiction only in “navigable waters” or tributaries. That leaves fens (mountain bogs), playas (shallow basins) and intermittent streams at risk, Buechler said. “We all live downstream. 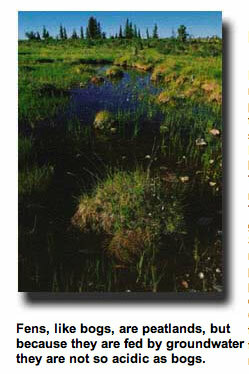 Watersheds are connected systems, and if degradation of wetlands and discharge of pollutants and fill material are allowed in headwater areas, those impacts will over time migrate downstream to mainstream reaches and effect drinking water as well as fish and wildlife habitat,” Buechler wrote in the report. More S.787 coverage here and here. “What we’ve offered is a compromise position on legislation governing the jurisdictional waters of the United States. The question is: What type of projects need a 404 permit?” Aurora Water Director Mark Pifher told the Arkansas Basin Roundtable on Wednesday. Pifher has worked for the Colorado Water Congress and the Western Urban Water Coalition on proposed legislation by Sen. Russ Feingold, D-Wisc., and Rep. James Oberstar, D-Minn., which attempts to restore Clean Water Act guidelines to policies that were in place prior to a pair of United States Supreme Court decisions. The controversy centers on the definition of “navigable waters” and which federal laws need to be considered in issuing permits under Section 404 of the Clean Water Act. The Supreme Court cases are Rapanos v. the United States, decided in 2006, which involved filling in wetlands near ditches in Wisconsin; and the 2001 decision in the Solid Waste Agency of Northern Cook County v. the U.S. Army Corps of Engineers, which centered on the city’s plans to create landfills on old gravel pits the government deemed wetlands. The effect of both decisions was to muddy the distinction of whether water projects in areas marginally connected to a watershed required a 404 permit. “After the decisions, Congress said, ‘We’re going to fix it,’ ” Pifher said. “The Western Urban Water Coalition drafted a compromise that leaves in navigable waters, but defines what they are,” Pifher said. It also included exemptions for both municipal and agricultural systems in the West, and protects administration of water rights according to state laws. More S. 787 coverage here. Colorado Trout Unlimited and Clean Water Action say they fear pollution could threaten trout habitat and drinking water for cities along the Front Range because some of the region’s water supply originates in streams that may be unregulated because the streams can’t be navigated by boat and are dry some of the year. Some of those streams may be in the Poudre River watershed, the National Wildlife Federation and the Izaak Walton League said in early October. The concern stems from a 2006 U.S. Supreme Court decision limiting the kinds of streams that can be protected under the Clean Water Act. According to the U.S. Environmental Protection Agency, only those rivers and streams that affect interstate commerce – streams navigable by boat or are connected to such streams – are protected under the act. Some of those streams that might have lost protection could be polluted by mining and other development. In response to the 2006 decision and another ruling earlier in the decade also limiting the Clean Water Act, a bill was introduced in the Senate in April to restore some of the lost protections. The Clean Water Restoration Act is now in committee in the Senate. But local groups are hoping Rep. Betsy Markey, D-Colo., will support a House version of the bill. “We’re trying to get back to where we were before the two Supreme Court decisions,” said Melinda Kassen of Trout Unlimited. “It is going to take the word ‘navigable’ from the act. Technically, the only navigable river is (the Colorado River) from Grand Junction to the state line.” Trout Unlimited wants to ensure that wetlands and high mountain streams that are trout spawning grounds but are dry some of the year are protected from pollution under the Clean Water Act, she said, adding that she hopes a bill can be introduced next month. More Clean Water Restoration Act coverage here and here. The groups, including the Izaak Walton League of America and the National Wildlife Federation said Wednesday such unregulated pollution could contaminate drinking water for more than 620,000 people living in Larimer, Weld and Boulder counties. The U.S. Environmental Protection Agency agrees water contamination from future mining and development could go unregulated in the headwaters of some streams in the region. Pollution could threaten drinking water here because most of the county’s water supply comes from rivers fed by streams that can’t be regulated because they can’t be navigated by boat, the groups said. Despite the concern, the Poudre is likely to remain uncontaminated because there is little development potential in its watershed, Gertig said. “Since the Poudre is a wild and scenic river, protection of that designation may be more powerful than anything else,” he said. Enforcement lapses were particularly bad under the administration of President George W. Bush, employees say. “For the last eight years, my hands have been tied,” said one E.P.A. official who requested anonymity for fear of retribution. “We were told to take our clean water and clean air cases, put them in a box, and lock it shut. Everyone knew polluters were getting away with murder. But these polluters are some of the biggest campaign contributors in town, so no one really cared if they were dumping poisons into streams.” The E.P.A. administrators during the last eight years — Christine Todd Whitman, Michael O. Leavitt and Stephen L. Johnson — all declined to comment. The county’s board of commissioners has also voiced concern about the proposed changes in the Clean Water Restoration Act. “I understand that there are probably some things (needing regulating), but why would we want everyone under those rules?” Las Animas County Commissioner Gary Hill said. “There’s ranchers, cities…what are we going to do when every drop of water that falls is sooner or later contaminated with a little drop of oil? Who’s going to pay for that?” Hill added, “Worse than that, when you get into a ranch or farm and you’re not having the public paying for it (EPA violations), then it’s just individuals…I don’t want anybody in control of our water; there’s enough regulations already.” Hill also said that the coalition of state counties, Colorado Counties, Inc., had drafted a letter in opposition to the bill, though it was not available for examination at press time.